Off grid potential but has electric too! 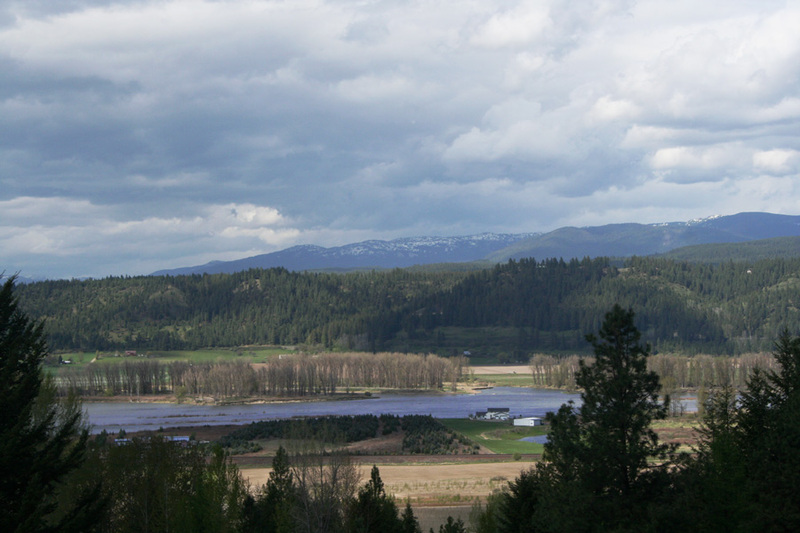 2 homes on 19.75 acres with views of Moyie River with US forest service land in the back yard. 3 bedroom 2 bath built in 1989 overlooks River, garden and fantastic mountain views. A 2 car garage with extra shop for all your projects. Utilities include electric plus a back up generator and a spring fed water system. 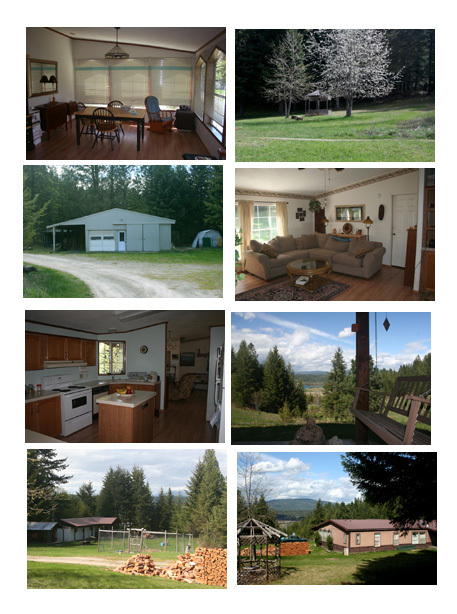 This is a perfect getaway retreat or survival property with a great feel and easy access close to town. There is a second 2 bedroom mobile for a rental unit. Beautiful acreage features a gazebo, fenced garden area, arched gated entry, fenced pasture, porch swing, dog kennel, storage sheds and cabin make this estate complete. Private yet easy to get to year round. 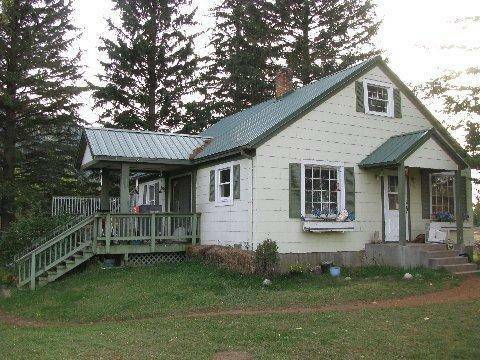 No Longer available $167500 Escape to the country! 3 bedroom 2 bath with basement on 5 acres has been recently renovated with new drywall, paint, stainless steel counter tops, lots of cabinets. Master suite upstairs with walkout balcony and a new roof was put on 4 years ago. Full unfinished basement includes 2 pantries (dry and cold) and the opportunity for more living space. Features a large greenhouse, frost-free water spigots, fenced garden, fruit and willow trees, berries, shrubs, sandy loam soil,sub-irrigated land, on the school bus route. Cabinet mt water, natural gas, southern exposure and only 4 miles to town. 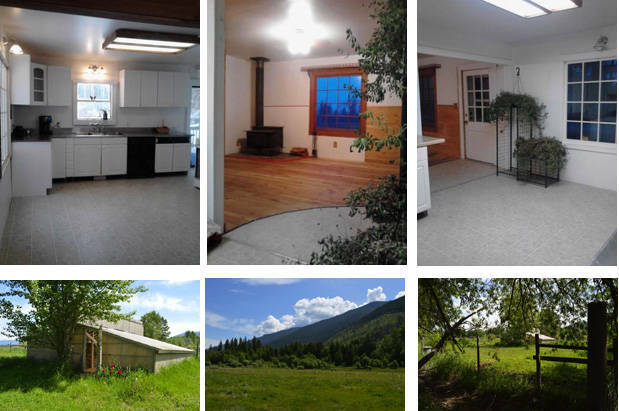 Beautiful 360 degree mountain views, year-round access, near USFS land. Home is ready for your finishing touch! Eligible for FHA 203k! Low down! Adjacent 17.5 acres includes a complete horse set-up and can be purchased in addition to this property.